Uhh... you going to be okay, Tony? Fans have been writing, audience members have been waiting, hell, all of culture has been waiting for this short bit of footage to drop, and now that it is finally here, we don’t know what to do with our gentle little selves. The trailer has finally dropped for the final movie in the grand Marvel saga that began with Iron Man, took the world through such incredible characters as Black Panther, Captain America and Loki, is now reaching its end to finish out its saga and clear the table for something new. The feelings we feel while watching this? Well, they sure are intense. Let’s break things down. The trailer opens up with Iron Man floating out in space, having run out of food, water, and tomorrow, air. It really looks like the end for Tony Stark, but here’s hoping this movie doesn’t play him off like that! Let’s see, what other little surprises did the movie have for us? Oh yes! Well, a lot of crying for one, which is too bad, but hey, we have Hawkeye in his Ronin costume! That’s pretty cool! Ronin was a Brian Michael Bendis invention where for a while in the comics you wondered who was in the mask, and everyone was led to believe it was Daredevil until — surprise, surprise — it was Hawkeye the whole time! Well, here I guess the surprise is ruined in the trailer, but people were wondering where the hell Jeremy Renner was in Avengers: Infinity War. Lastly, the trailer ends with a welcome sight: Scott Lang, aka Ant Man, aka, the fun superhero played by very fun actor Paul Rudd. At the end of Ant-Man and the Wasp (spoilerrrrr), Scott Lang was trapped in the Microverse after the people tasked with getting him back to the bigger world (Hank Pym and Hope and Janet Van Dyne) turned into a pile of dust due to Thanos’ snap. It’s nice to see him back, and it’s nice to see how happy it seems to make Captain America. That guy deserves some happiness. 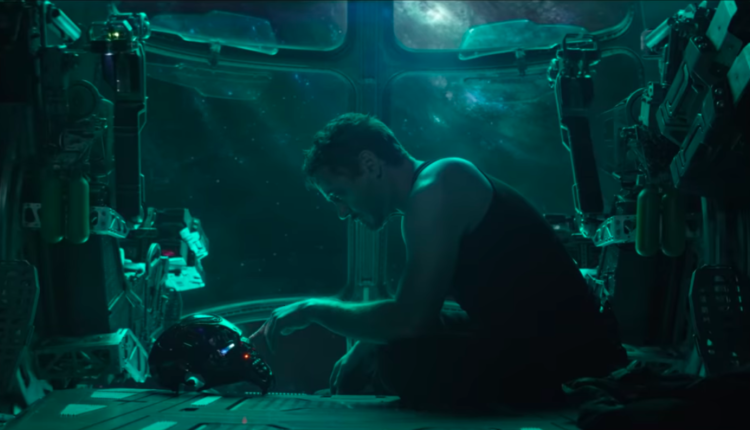 What did you think of the Avengers: Endgame trailer? Let us know in the comments or on Twitter at @WhatsTrending.